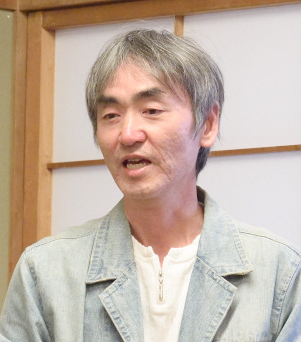 浦安より・・・元気です！　From Urayasu City・・・We are fine! As reported on TV news as ‘the disaster stricken place in Metropolitan area’, Urayasu City suffers great loss by earthquake on 11th Martch. Many families are suffering from damage on house building. Water supply, sewerage system, gas supply etc.･･･are stopped and have not been recovered yet. 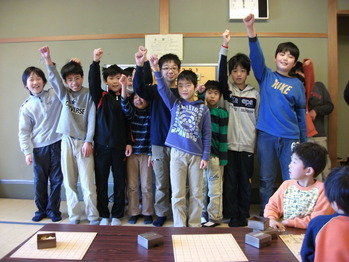 Some members of Gyotoku Shogi Club are from Urayasu since it is a neighboring town, and despite the disaster, we could see cheerful faces of Urayasu children on 26th March, the first practice day after the earthquake. “Off course there is some trouble in daily life, but we are fine. We see many damage in our town and Tokyo Disney Land is now closed, however, we are going to do our best so that Urayasu will be a good city as before. We hope we will be able to see people from all over the world, again here in Urayasu.